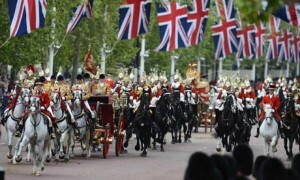 We Americans have a lot to learn about pomp and circumstance from the British. 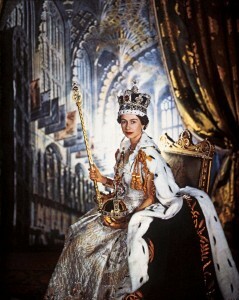 Queen Elizabeth II at her coronation in 1952. Of course, Queen Elizabeth’s rule is largely just pomp and circumstance in the British political sphere. In most speeches and news about her milestone, she’s described as “serving” or maybe “leading” her subjects, rather than “ruling” or “reigning over” them. Solomon was truly beloved, too. He led his people kindly and bravely, brought great wealth and riches to Israel, and held council freely in which he gave of his wisdom. When the Queen of Sheba toured his lands, she marveled at his wealth, at his buildings, at his extravagance and servants – but she most praised the fact that his subjects were happy. Our God (whose title as “King of the Universe” is shorter but more impressive than Elizabeth II’s) pursues the joy of His subjects with love and care, as well as with His limitless resources and power. His citizens experience true happiness and joy; and since we’re all made to experience that joy, when we see good rulers like Solomon and Elizabeth, we’re unconsciously reminded of His goodness and mercy, and long for the joy He offers. That joy is not fleeting, but we often experience brief times in which we experience it more than others. 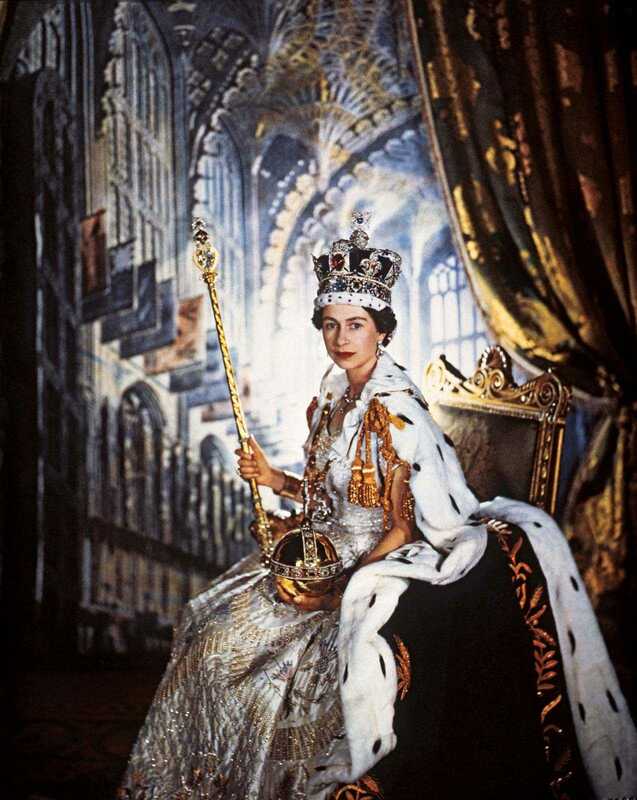 Almost three years ago, Elizabeth II threw a very large party in celebration of her 60th year on the throne; called the “Diamond Jubilee,” the celebration was a national holiday, bringing parades, concerts, and other fun events to celebrate her long reign. The word “Jubilee” has a deep Biblical connection, too. And it’s one of my favorite parts of the Old Testament. Amid the ceremonial and social laws of Leviticus, God commands a beautiful event: The Year of Jubilee. Intended to happen every 50 years, it was to be observed by resting, rejoicing, and celebration. But most importantly, it was to be marked by a massive restoration. Property pawned for the repayment of debts was to be returned to its original owner; slaves and servants were to be set free; the whole nation was to come together in love for God and one another and generosity for their neighbors. What a beautiful year! And while the Israelites may never have observed this celebration (maybe they kept putting it off… “we’ll just do it next year”), it points us forward, along with the Diamond Jubilee, to the glorious festival yet to come: the Wedding Supper of the Lamb. As the Israelites were restored to their original lands, so we will be restored to our original story: as the sons and daughters of God! On that day, we will be set free from our slavery to sin completely and brought into eternal rest; rejoicing and celebrating, we will enter God’s Kingdom. Elizabeth marked her 23,226th day by simply doing her job. She rejected the idea of making a fuss about her milestone; in doing so, she’s probably represented her legacy better than any party could. She’s been a stable and constant leader since her coronation, despite reigning throughout the second half of a tumultuous 20th century. And it is the long-lasting stability that I think we resonate with the most here. Psalm 46:6 says of God, “The nations rage, the kingdoms totter; he utters his voice, the earth melts.” No matter what twists and turns happen in our lives, God is unmoved. Christ remains on the throne. That stability and consistency makes our turbulent, twisted hearts sing longingly. And Christ the King – who will rule “yesterday and today and forever” with the same joy, restoration and stability – answers that song. He answers it daily, for the next 62 days, years, centuries, millennia, and eons. And He answers it with an infinite and intimate love that we could only ever dream of outside of Him. Thank you for reading Redeeming Culture! We haven’t been around for 62 years, but we are getting close to the end of our first year. There’s way more to come, so make sure you catch up on our archives over the next two weeks. And, as always, if you enjoy what you read here every week, we’d appreciate your support. Thank you! 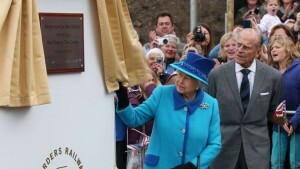 This entry was posted in Current Events and tagged King, Kingdom, monarchy, Queen, United Kingdom. Bookmark the permalink.